Are you looking for a new pair of denim shorts for this Summer season? If your answer is yes, then I am more than happy to share with you this style guide on how to wear denim shorts this summer. I am going to help you to find the most versatile styles to keep you looking fabulous and ladylike. Thanks to my favorite tips and tricks you gonna achieve fashionable look. I gathered awesome styles that are both casual and comfy. No matter what is on trend right now, believe me, denim shorts are always locked, stocked and loaded. They are worn everywhere and by everyone, starting from rock stars to supermodels. You can make them look glam or grunge, dress them up or down. Anyway, keep on scrolling down your mouse to see awesome ways how to wear denim shorts this summer. 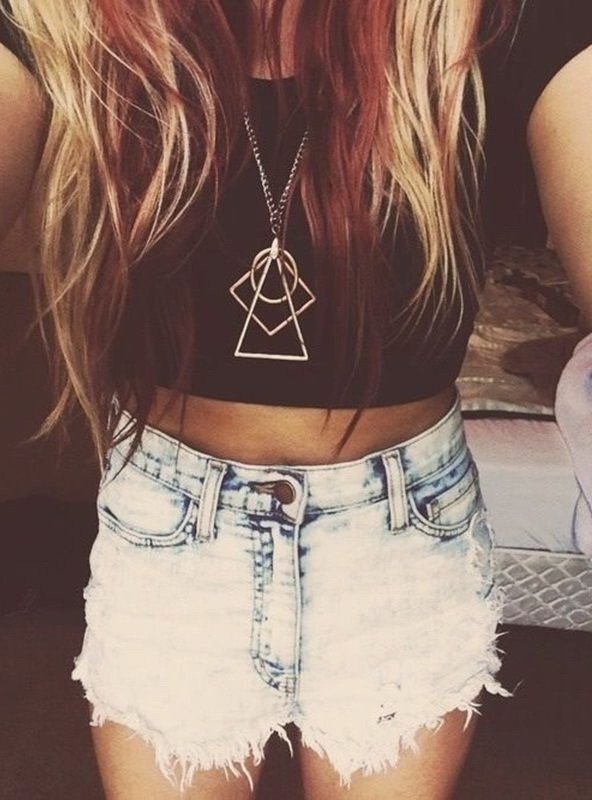 Washed-out and destroyed high-waist frayed shorts look great with cropped black T-shirt completed with cool necklaces. Personally, I've got three pairs of denim shorts: classic blue, colored pastel pink and ripped ones. Every single style is comfortable, versatile and long-lasting. The best season to wear these bottoms is of course summer time, but you can try them during fall and winter months wearing atop cozy tights. Anyway, we are here to speak about hot months, right? I gathered my favorite street style images where ladies appear in chic and stylish denim shorts styled with summery tops and jackets. 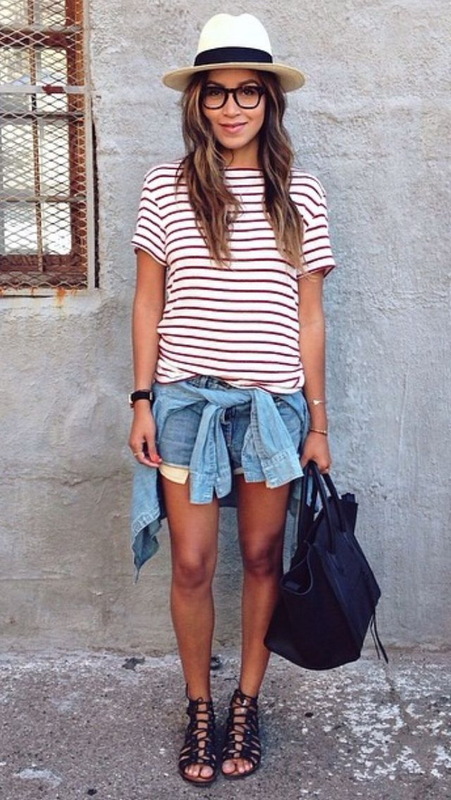 All in all, let's have a look through these awesome ways how to make denim shorts look awesome on you.